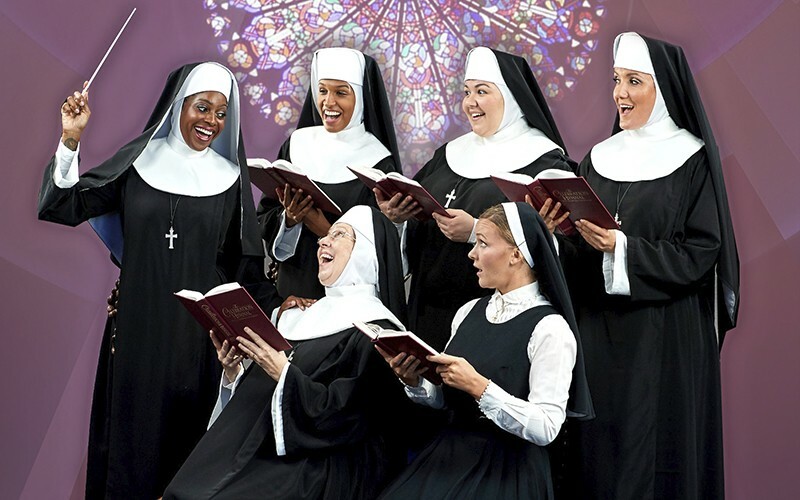 Sister Act comes to Stages this weekend sans Whoopi Goldberg. Skipping LouFest? Hey, it's your life; we won't judge you. If you'd rather spend the weekend in an air-conditioned theater than traipsing around Forest Park, that's OK with us. Here are five picks for smart movies and interesting plays available in St. Louis this weekend. Deloris Van Cartier has the look and the voice to be a star, but her gangster boyfriend Curtis Jackson sees her as nothing more than arm candy and won't help further her career. 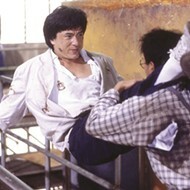 In fact, Jackson makes things much worse for Deloris when he bumps off a snitch and she witnesses the crime. An old friend on the police force helps Deloris into the perfect hiding place — a rundown convent. The quiet life of a nun isn't exactly her style, but when Deloris energizes the choir with the power of Philadelphia soul and her own inimitable style, things start to improve. Too bad the bigger the Sunday services, the more likely it is that someone will recognize her — someone like Jackson. Stages St. Louis closes out its 30th season with the crowd-pleasing Sister Act. The show is performed Tuesday through Sunday (September 9 to October 9) at the Robert G. Reim Theatre (111 South Geyer Road, Kirkwood; www.stagesstlouis.org). Tickets are $38 to $62. 2. Catch a fascinating documentary at Webster U. The Repertory Theatre of Saint Louis opens its 50th season with Follies, the epic musical by Stephen Sondheim and William Goldman. 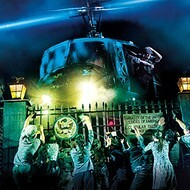 The show requires a massive cast in order to recreate the lavish musicals produced between the world wars. 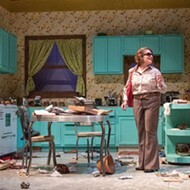 As the older but none-the-wiser stars of the Weismann Follies return to their old stomping grounds for a reunion, old romances and resentments bubble to the surface, and a pair of marriages are stretched to the brink. Among the large cast are Broadway regulars — Emily Skinner, Bradley Dean, Christiane Noll and Adam Heller — as well as local favorites Joneal Joplin, Zoe Vonder Haar and Ron Himes. It's a big show, and it's bound to be a signal moment in the Rep's history. Follies is performed Tuesday through Sunday (September 9 to October 2) at the Loretto-Hilton Center (130 Edgar Road; www.repstl.org). Tickets are $18 to $81.50. (c)2016 THE JIM HENSON COMPANY INC.
You publicly mourned David Bowie. Isn't it time to see Labyrinth on the big screen? Clinton Johnson raises a host of puzzling questions in his play Am I Black Enough Yet? Through a series of vignettes performed sketch-comedy style, the players challenge the audience to rethink what race means now that science has proven that any two random humans' DNA will be 99.9 percent identical no matter what they look like. If the two people in question come from the same part of the world, speak the same language, dress the same way and use the same slang (as in the skit "Two Black Girls, One of Them White"), why does that .01 percent of DNA matter so much? Tesseract Theatre presents Am I Black Enough Yet? at 8 p.m. Friday and Saturday and at 4 p.m. Sunday (September 9 to 18) at the Regional Arts Commission (6128 Delmar Boulevard; www.tesseracttheatre.org). Tickets are $15. Labyrinth, which is somehow 30 years old at this point, is the platonic ideal of a cult film. 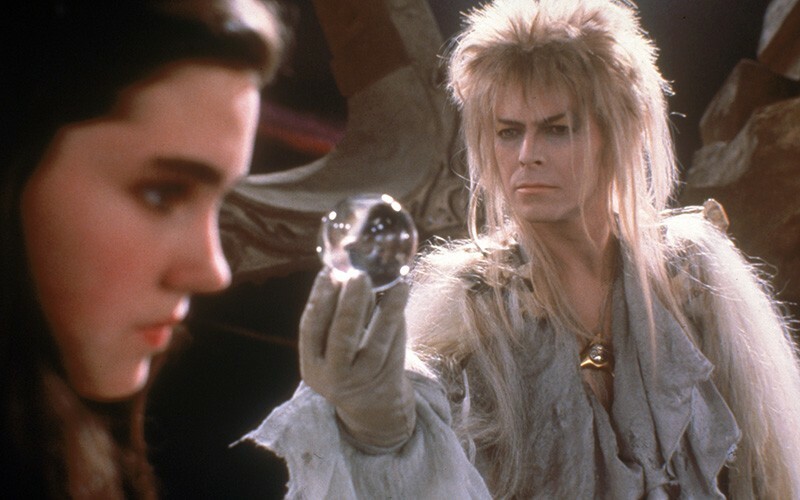 Start with Jim Henson's creatures, throw in a screenplay by Monty Python's Terry Jones, get a young Jennifer Connelly to play the lead and then top it all off with David Bowie as the enigmatic Goblin King, Jareth — it's quite a concoction. The musical story of a young girl (Connelly) entering an otherworldly labyrinth in order to rescue her younger brother has Muppet-y goblins, the gentle giant Ludo and a dancing David Bowie. What the world needs now is Labyrinth, sweet Labyrinth. The favorite film of two or three generations is screened at 2 and 7 p.m. Sunday at the Regal St. Louis Mills Stadium 18 (5555 St. Louis Mills Boulevard, Hazelwood; www.fathomevents.com). Tickets are $13.76.